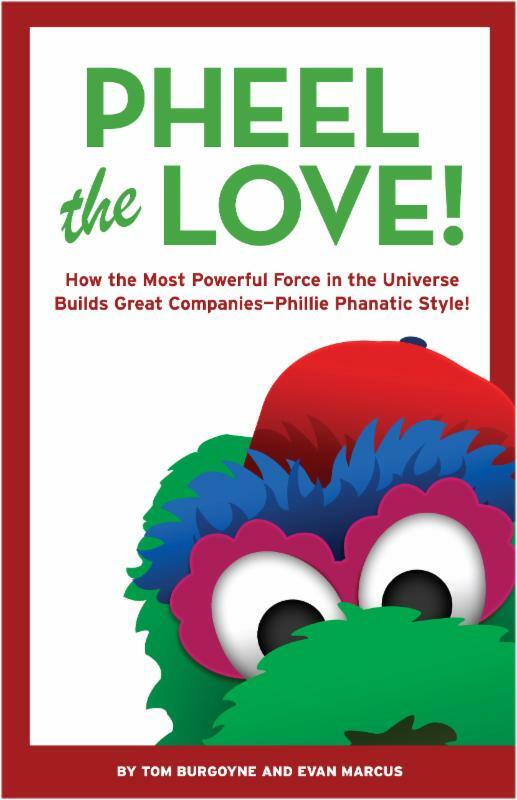 So opens the brand new book co-written by Tom Burgoyne, the man inside of the Philly Phanatic suit, and Evan Marcus, acknowledged corporate culture expert. Both were former presenters at one of Art Guild’s customer-focused Interface events, and hence the book’s opening shout-out to Tom who brought them both together. The book’s topic? How the success of the sports world’s arguably most beloved mascot can be channeled into the transformation of people and organizations. The book’s promise; “to radically change your life, your work and your organization.” This entertaining, fast-read has already generated a lot of critical acclaim. To read more, including more about “Tradeshow Tom” as he becomes later in the book, visit Pheel the Love.